Fred Plevin has specialized in serving employers throughout California for 30 years. His practice consists of defending litigated employment claims for private and public sector clients, providing advice and counsel regarding a wide variety of employment-related issues, and conducting management training. Mr. Plevin’s litigation experience includes well over 200 employment cases for diverse clients such as the University of California, various California Superior Courts, Gateway, Qualcomm, Biogen, T-Mobile USA, Microsoft, Chapman University and Pacific Western Bank. Mr. Plevin is an experienced trial attorney, with an excellent record in jury trials of employment matters including sexual harassment, employment discrimination, wrongful termination, fraud and related claims. He also has extensive experience in other employment-related claims, including trade secrets disputes and wage and hour class actions, in state and federal court. 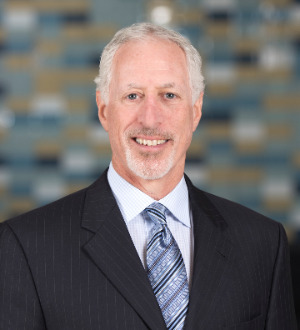 Mr. Plevin is a member of several invitation-only national groups, including the Litigation Counsel of America, the Wage & Hour Defense Institute (consisting of top wage and hour litigators from all 11 federal circuits), and the American Employment Law Council. He has also served as an Adjunct Professor of Law at California Western School of Law.